This was my safari cake project for the weekend! 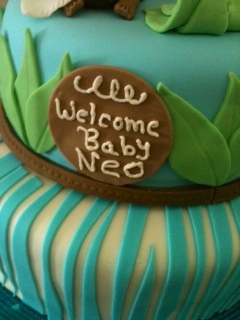 It was for a co worker's baby shower and is a 2 tier vanilla with strawberry fruit filling. 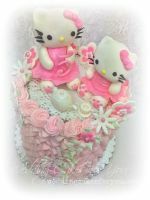 The bottom tier is 12 inches and the top tier is 9 inches. Covered in marshmallow fondant, the bottom tier is a random pattern of stripes in sky blue. The top tier is colored in the same sky blue. 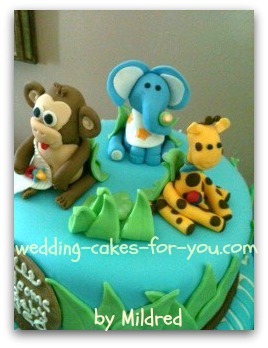 The elephant, giraffe, and monkey, are sculpted out of fondant, as well as all the other decorations. I made the animals a week in advance to make sure they were dry to put on the top of the this fun party confection. 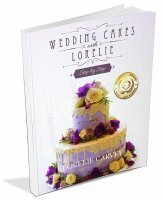 I recently purchased the Cake Stackers 12,10,8,6 inch series. This is the best invention ever to stack and deliver cakes! It took a bit of practice to assemble since it was my first time using it, but it is definitely a winner! Here is the link to Lorelie's review of the tiered metal stand from the Stackers. I heard today from the mom to be. 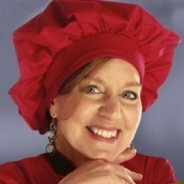 She and her guest's were delighted with the flavor and decoration. 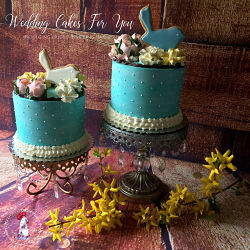 Mildred, thank you so much for this wonderful addition to the Wedding Cakes For You website. I love your Safari Cake. It's adorable and so well done. The colors are great and the figurines are so beautiful. 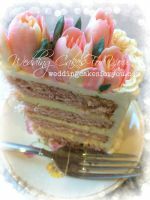 I'm so happy that you decided to try out the Stackers too, they really do make a difference in the support and leveling of a tiered cake. 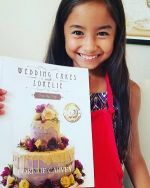 Here is a link to the marshmallow fondant recipe on this website. 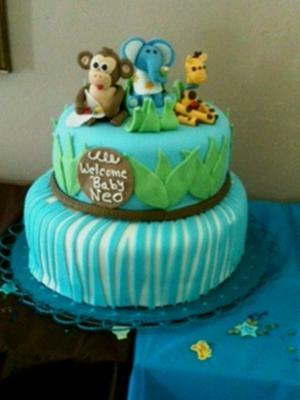 Here is a link to another baby shower safari cake on this website, with some tips. Kerry's is three tiered and is vanilla and strawberry flavors.